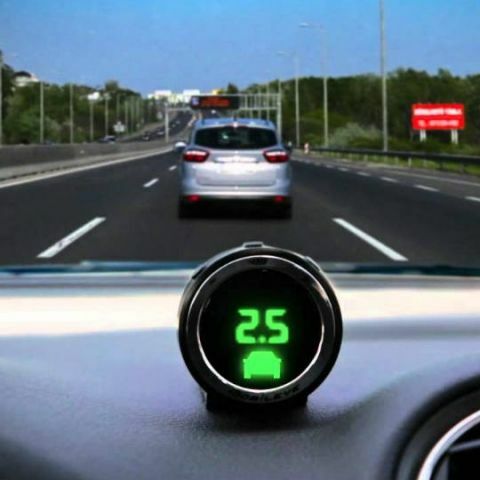 Mobileye's takeover value is the largest ever for any Israeli tech firm, and Intel will also be moving its automotive ventures there to Israel. Self-driving, autonomous vehicles are the definite future, and Intel has just stepped up its game by taking over Mobileye. For those who did not know, Mobileye is one of the most noted names in the realm of autonomous driving technology, with a $10.5bn market cap and already having featured in tie-ups with Tesla, BMW and Audi. “The combination is expected to accelerate innovation for the automotive industry and position Intel as a leading technology provider in the fast-growing market for highly and fully autonomous vehicles. Intel estimates the vehicle systems, data and services market opportunity to be up to $70 billion by 2030. The transaction extends Intel’s strategy to invest in data-intensive market opportunities that build on the company’s strengths in computing and connectivity from the cloud, through the network, to the device," Intel said in a statement. Intel was already partnering with Mobileye in the autonomous driving field, prior to the takeover. Founded in 1999, Mobileye is presently one of the biggest tech companies providing autonomous driving technology to carmakers across the world. Headquartered in Jerusalem, Israel with major operations in Amstelveen, Netherlands, Mobileye’s range of technology and services include front and rear imaging systems and sensors, mapping, sensor fusion and more. The company has also revealed to TechCrunch that it is presently working in partnership with 27 automobile manufacturers, 10 of which are production ventures that involve the likes of BMW, Audi and more. "Integral in car path plotting, artificial vision and real-time decision making"
Intel, meanwhile, will contribute to the development of autonomous technology with its work in machine learning and neural network algorithms. Such technology, when combined with Mobileye’s expertise, can prove to be integral in car path plotting, artificial vision and real-time decision making, all of which are crucial elements for the sustainable development of self-driving technology. Heading the conglomerate’s operations will be Prof. Amnon Shashua, Mobileye’s CTO and founder, and this will see Intel’s entire autonomous car technology division move to Israel. The realm of autonomous driving has been growing steadily, with the likes of Google, Cadillac and others being some of the first movers in this space. While Google has been notably testing its self-driving cars for a while now, Cadillac recently announced its connected cars initiative using cloud storage to aid interconnectivity between cars. This is aimed at better understanding of roads and traffic conditions, alongside promoting real-time decision making in cars of the future. Uber is also looking at the prospect of self-driving technology for commercial deployment, and Paris is set for road-testing autonomous driving buses by next year. All of this has been buoyed by extensive work with sensors, imaging equipment and neural network algorithms that take into account road conditions, traffic and surroundings to make real-time road decisions similar to how human drivers would make. Mobileye, in this field, has been one of the noted names, having previously partnered with Tesla on its advanced autopilot program. The two notably broke its partnership publicly, based on an unfortunate turn of incidents after the company reported safety concerns to Tesla regarding the use of its Autopilot driving mode without human intervention. Intel’s previous takeover, Here, will also play a part in this autonomous driving conglomerate by providing for details into the mapping services. Here once belonged to Nokia, and was sold to carmakers Audi, BMW and Daimler back in 2015, before eventually changing hands to Intel. The company, having been pioneers of processors in the personal computer segment, has been looking to venture into newer branches of technology, including the Internet of Things.